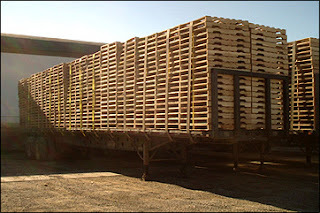 Trailer load of pallets… neighbors rock! #VT – I was overwhelmed with all the responses I got following my posting seeking free wood pallets. I got a whole trailer load of them today and now know where to load up if I need more. Thanks everyone for giving me many options to seek out. Front Porch Forum rocks!! Posted by Rob on the Huntington FPF today.